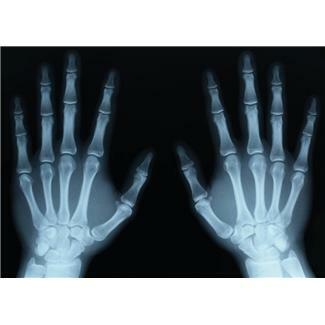 What Conditions Do Orthopedic Surgeons Often Treat? Orthopedics is a branch of medicine that involves itself with the diagnosis, prevention, treatment and management of conditions that affect the musculoskeletal system. Doctors who specialize in this field cater to everything from genetically-induced illnesses to those that happen spontaneously, as in the case of sports injuries. And furthermore, they also address a variety of patients, from children to geriatric individuals, thereby segregating the practice into multiple dimensions. But what is most interesting about orthopedics is that it is crosses boundaries and finds application in areas like oncology, cosmetic surgery and neurology. And with this, it is less surprising to find that physicians who belong to this sector of the industry are among the highest paid, earning anywhere between $450,000 and $600,000 annually for surgeries alone. But going deeper into the practice, there’s no doubt that it finds relevance in the fact that it promotes independence and frees people from the limitations of their humanity. While internal medicine protects patients from being incapacitated by infection, orthopedic surgeons does so by repairing what has been broken and making it function as good as new again. This is not to say that they are more important than other medical professionals. But seeing as though we live in a world where functionality dictates accomplishment, their contribution to a person’s well-being is very crucial. Orthopedic doctors come across a lot of interesting cases, from osteogenesis imperfect to osteosarcoma. But the ones they commonly treat are simple sprains, strains, inflammation, and fractures. Sprains, for example, are among the most frequently experienced musculoskeletal inconveniences of the 21st century. And they are developed by anyone who has intentionally or accidentally abused their lower extremity. Almost 90% of lateral sprains that occur involve tears of the weaker ligaments of the ankle. But since they are ligaments, there rarely is a need to subject the client to surgery. Prior to medical intervention, what is usually done to relieve the symptoms is to rest the injured part, apply ice on it to decrease swelling, and finally apply compression as well as elevate to encourage venous return. Once the subject is brought to the hospital, he will be given a physical assessment and perhaps, asked to get an x-ray. And depending on the amount of pain he is experiencing, the doctor might prescribe anti-inflammatory meds. If the patient is an athlete, the strength training may come after the first week and he may be instructed to circle the ankle 10 to 20 times to recondition it. And a few exercises may be applied if not swimming and cycling for 15 to 30 minutes a day. And then there’s wrist tendinopathy, which is basically the inflammation of the tendons in the wrists which again brought about by overuse. The symptoms include redness, swelling and pain. And this is often experienced by tennis players. However, people who overstretch and over apply their wrists like movers and construction workers can also be affected by this condition too. When felt, people are often asked to modify their activity and apply an ice pack on the area 10 to 15 minutes every day until it is resolved. A wrist band or splint may also be necessary to immobilize the area and promote healing. If the problem does not improve, there is a chance that a minor surgery may be prescribed to correct the issue. But that would all depend on what the xrays would show. If the problem does reveal that it is manageable naturally, orthopedic surgeonsoften elect not to interfere and just recommend you for rehabilitation with a set of pain medications. But in the case of carpal tunnel syndrome, given that the nerves are affected, an operation may indeed be necessary. Fractures may also need physical manipulation given the circumstances. But whether it’s only external or internal is yet to be determined by the physician in-charge. The simplest medical intervention that can be given is a cast. And like the splint, it immobilizes the injury and allows it to heal naturally. However, if the break is not clean, such as that of an open fracture, open reduction and internal fixation will be performed by the orthopedic surgeon. And then metal rods and pins will be attached to keep everything in place. If the fracture is over sensitive parts like the chest or head, a more delicate procedure will be performed with the same intention of cleaning, taking out the broken bone and replacing it with a metal counterpart. Other surgeries they perform involve the repair of torn rotator cuffs, herniated disks, and even the application of new limbs for amputees. And although it may seem like you would never need their services, given the prevalence of unforeseeable risks, it is clear to see how imperative it is that you know of a reliable orthopedic specialists today. That way, when you do need their help, you know exactly who to turn to without doubting their abilities. Cedric Loiselle is a highly talented writer providing quality articles for a wide range of niches including health and fitness. If you are looking for the best orthopedic surgeons Milwaukee has on its list, you should read his articles for tips and advice.